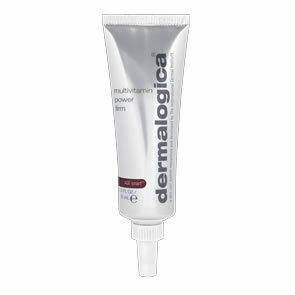 Dermalogica Daily Clean Scrub is a great prep for shave-readiness. Need a quick lift? Get shave-ready with this dual-action exfoliating cleanser. A beard-lifting lather containing micro-fine Silica beads helps remove oil and dulling skin cells for clean-looking skin. Cleans deep to help keep pores clear and minimise ingrown hairs while clearing the way for a closer, cleaner shave. A beard lifting lather containing micro-fine Silica helps resurface skin while removing oil and dulling skin cells. Removal of debris before shaving helps lift beard for a closer, cleaner shave. This can help minimise an uneven shave, ingrown hairs, clogged follicles and razor bumps. Deeply cleans follicles to help keep pores clear. Soothing extracts helps reinforce skin's natural barrier lipid layer that is so often compromised during shaving. Salix Nigra (Willow) Bark Extract and Silica: chemical and physical exfoliants that help remove dead, dulling skin cells and help control occurrence of ingrown hairs. Melaleuca Alternifolia (Tea Tree) Leaf Oil: helps eliminate microorganisms, and helps calm and soothe skin before shaving. Tritcum Vulgare (Wheat) Germ Extract amd Saccharomyces Cerevisae (Yeast) Extract: helps combat irritation, mechanical peeling and redness brought on by shaving while protecting the skin's natural barrier and lipid barrier. Aloe Barbadensis Leaf Juice: helps soothe skin while regenerating damaged tissues. 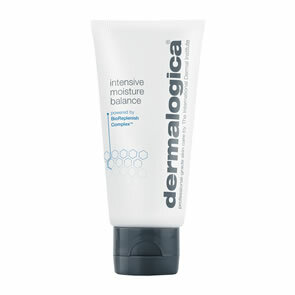 Apply Dermalogica Daily Clean Scrub to damp face and neck in circular motions. I have had a issue with the skin on my legs for as long as I can remember and have been to see beauticians and my doctor and none have ever managed to sort it out. I have tried every lotion and potion and nothing has ever worked. I was then told about Dermalogica and that some of the scrubs might help my skin. As shaving, waxing, sugaring etc etc has always made the problem worse I decided to try this product and my god I am impressed!! My skin is probably the best it's ever been and I've only been using it a couple of weeks. I will be buying this again and again and am about to invest in a moisturiser to use after it. Thank you so much for helping me feel more confident about my legs, you can't believe what a difference it has made!! ABSOLUTELY AMAZING - THE BEST SCRUB I HAVE EVER USED! BUY! BUY! BUY! MAKES YOUR FACE FEEL REALLY CLEAN, SMELLS GREAT AND BRILLIANT FOR THAT CLOSE SHAVE!!!! !